There is always hype around the State Fair season, which is once again fast approaching. Who has the biggest, which state is the best? In the midst of all the debate, lost on the midway are some of the smaller state fairs which I feel are well worth attending. All the fairs named here still have the usual staples: Food on a stick, deep fried dough-covered everything, midway games you can never win, and livestock you can smell from a mile away. The nice thing is you can get all of those standbys without the crowds and maybe even with something a little more unique. The Colorado State Fair was attended by only a little over 475,000 people last year and is still held in Pueblo, Colorado, as it has been since 2000 people gathered for a horse show in 1869. 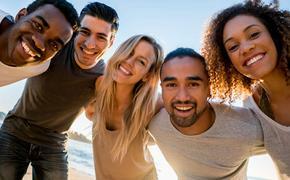 This year, the festival runs for eleven days leading up to Labor Day. 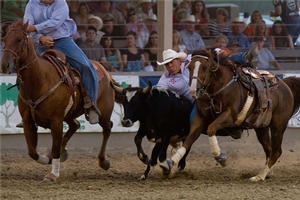 Horses still play a big part in the state fair, with two rodeos, a celebration of the Charros (Mexican Horsemen or Cowboys), a horse show and even a bull fight! They will have five stages of concerts, a monster truck rally, a good old fashion demolition derby, a MMA event and even a microbrew tasting (this is a no-brainer warm-up for the Great American Beer Festival). Because of the rich horse community of central Florida, The Bob Thomas Equestrian Center hosts many horse rodeos, events and shows during the State Fair as well. I have been partial for a long time to Louisiana and really partial to the New Orleans Jazz Fest as probably my top festival/fair anywhere in the country. So it comes as a surprise that the State Fair of Louisiana would be as small as it is. I guess that those Creole folk just got a festival going on every day down there in the Crescent City, so they don’t want to come up to the big fair in Shreveport. They have all the staples of a good state fair with rodeos, a midway, livestock, 4H competitions, and more. I will however, give you one more reason to go if that isn’t enough: STEAK. This year will be the 3rd Annual Louisiana Beef Cook-off. 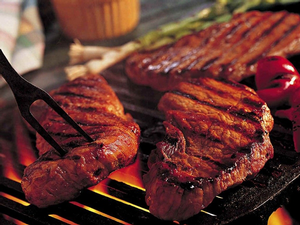 The Louisiana Cattleman’s Association provides Louisiana born and bred steaks and the pros and the kids grill off to find the best steak in the state. If you make the trip make sure to visit the Louisiana State Exhibit Museum, a rich history of the state from the Native American times to today. Just coming off their 75th Anniversary last year, the New Mexico State Fair is held in downtown Albuquerque every September. They love to learn out there in New Mexico and that extends to the fair. They offer all teachers and their classes free admission so that the kids can soak up info on agribusiness including dairy, ranching and farming from chilies and pecans to live milking demonstrations. Maryland is a diverse place in the Mid-Atlantic area and the fair in its state hold to that truism. Check out Bull Riding, barrel racing, karaoke, an arm wrestling competition, Masters of the Chainsaw, Pig Races, and the ROMA sausage eating contest! There is also thoroughbred racing on the fairgrounds. 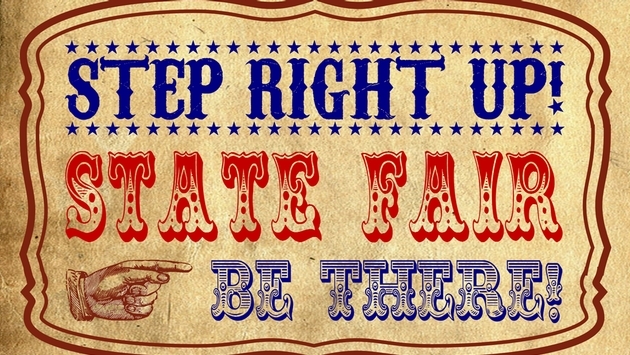 Admission is free with your ticket to the State Fair. 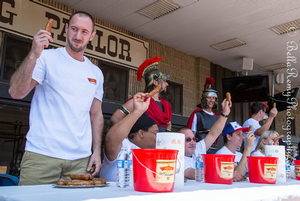 Oh, and there is a sausage eating contest. There is a place you can take lessons and actually milk a cow (another one on my bucket list) and a birthing center for the animals as well. Did I mention there is a sausage eating contest?! AWESOME!